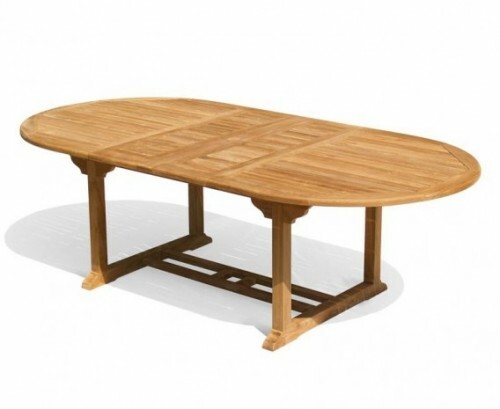 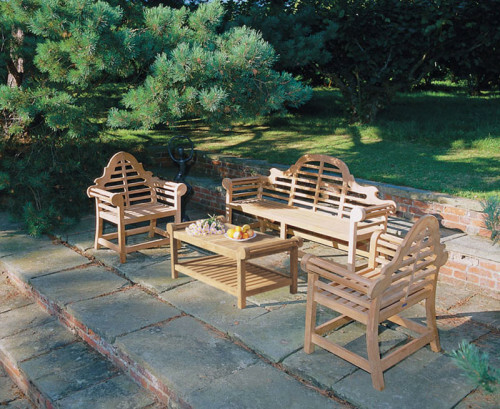 This beautiful Amalfi 8 seater table and folding chairs set is ideal to use as patio furniture or for al fresco outdoor dining – the possibilities for this versatile teak garden furniture set are endless! 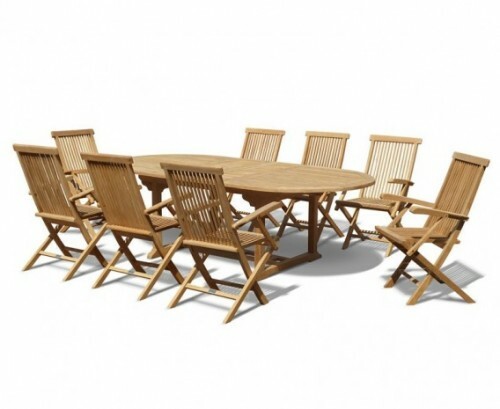 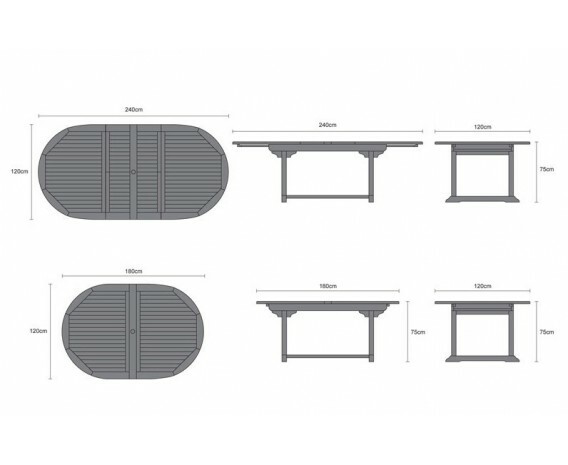 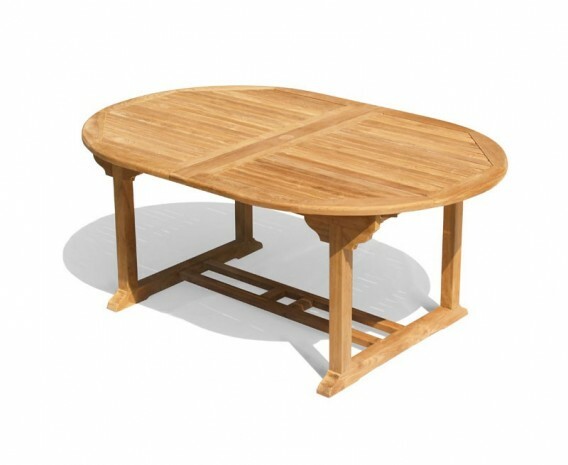 This 8 seater table and folding chairs set includes an oval garden table with unique double butterfly extension leafs which effortlessly stows in the table under-frame on aluminium glides when not in use. 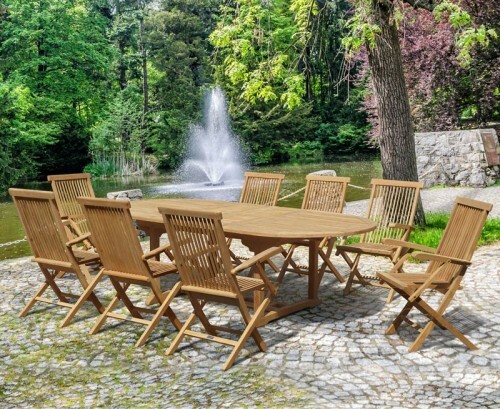 The extending garden table can be lengthened to 2.4m and can easily seat up to 10 people comfortably – so plenty of room for family get-togethers or eating with large groups of friends! 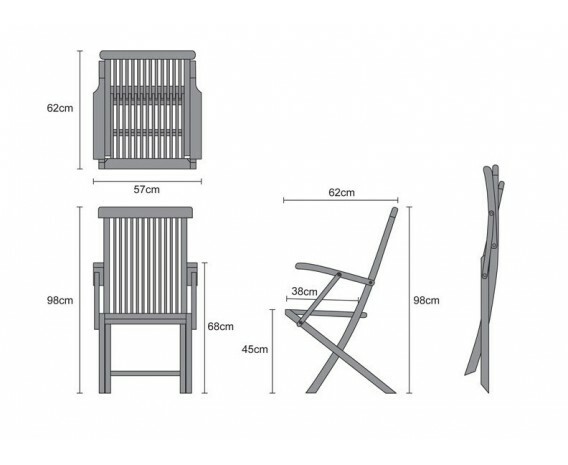 Our great value set comes with 8 Amalfi Folding chairs – a popular choice teak garden chair – or 6 teak folding side chairs and 2 teak armchairs. 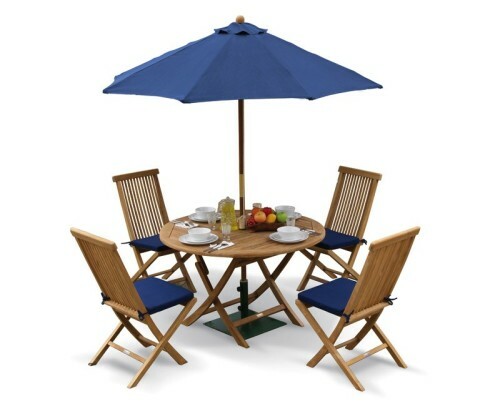 These fold away outdoor garden chairs allow you to dine in style and comfort. 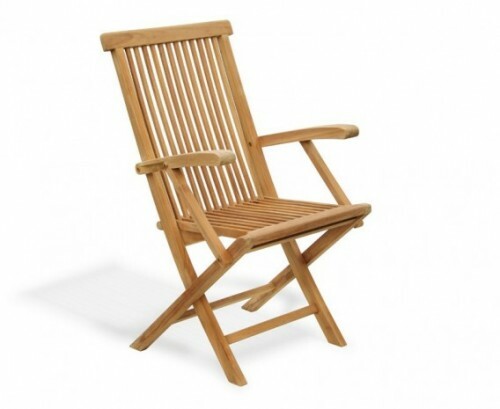 Made from durable plantation teak with mortise and tenon joints, these outdoor chairs are garden lawn chairs that will give you trouble free pleasure. 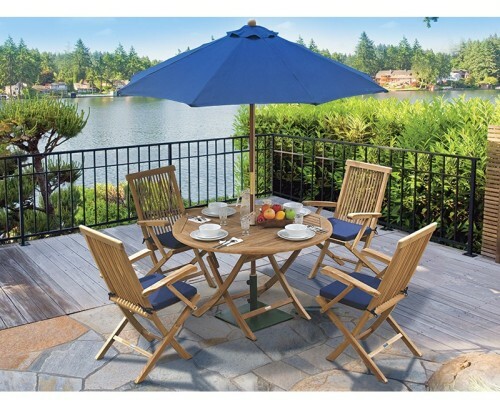 Teak folding outdoor chairs like these patio lawn chair take alfresco dining to new heights and the style and comfort of this modern folding patio chair will impress your family and friends. This 8 seater table and folding chair set will be delivered fully assembled for your immediate enjoyment – access permitting. 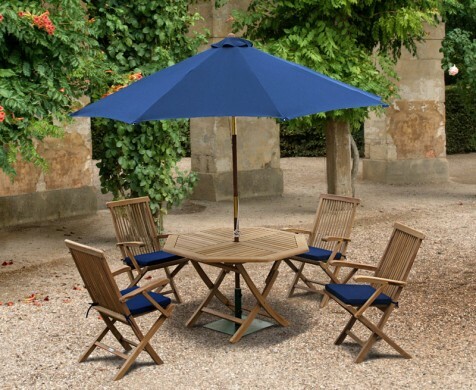 To finish off the look, we also sell separately matching 6cm thick cushions pads and a round 2.5m octagonal parasol in Forest Green, Navy Blue, Ecru Natural or Black.